On to a far more serious matter. After the Jimmy Kimmel Live! taping Scarlett had a run in with the paparazzi who were trying to follow her back home and fearing for both her safety and all the people around her Scarlett when to the police station to let them no what was going on. We all known how much Scarlett hate’s the paps and having her’s and her family’s privacy invaded and as fan’s of Scarlett you WILL NEVER see pap photos of her of her family on here in there day to day lives, Yes I do add on set photos as I take that as she is working then but other then that never and please I would like to ask if you run a site, twitter, facebook, VK etc on Scarlett please please please don’t add pap photos to it respect Scarlett’s wishes and keep them of. The Paparazzi consistently go to increasingly dangerous lengths to stalk and harass the people they are photographing. Even afer Princess Diana’s tragic death, The laws were never changed to protect targets from the lawless paparazzi. Many paparazzi have criminal pasts and will perform criminal acts to get their shot. They were running red lights, putting other drivers and pedestrians at risk so they could follow me to find out were I was staying and subsequently stalk me and my young daughter for the duration of my stay. The paparazzi put people’s lives at rish, so they can wait for days in quiet neighbourhoods in blacked out cars, and try and follow me to the playground and photograph my child and other people’s children in a safe place that should be off limits, but isn’t. All of this is perfectly legal. I felt it was my duty as a concerned citizen who was being pursued dangerously and stalked to go to the local precinct and seek guidance there. I would encourage others in a similar situation to go to the police. Women across the US are stalked, harassed and frightened and a universal law to address must be at the forefront if law enforcement conversations. Until paparazzi are considered by law for the criminal stalkers they are, it’s just a waiting game before another person gets seriously injured or killed, like Princess Diana. 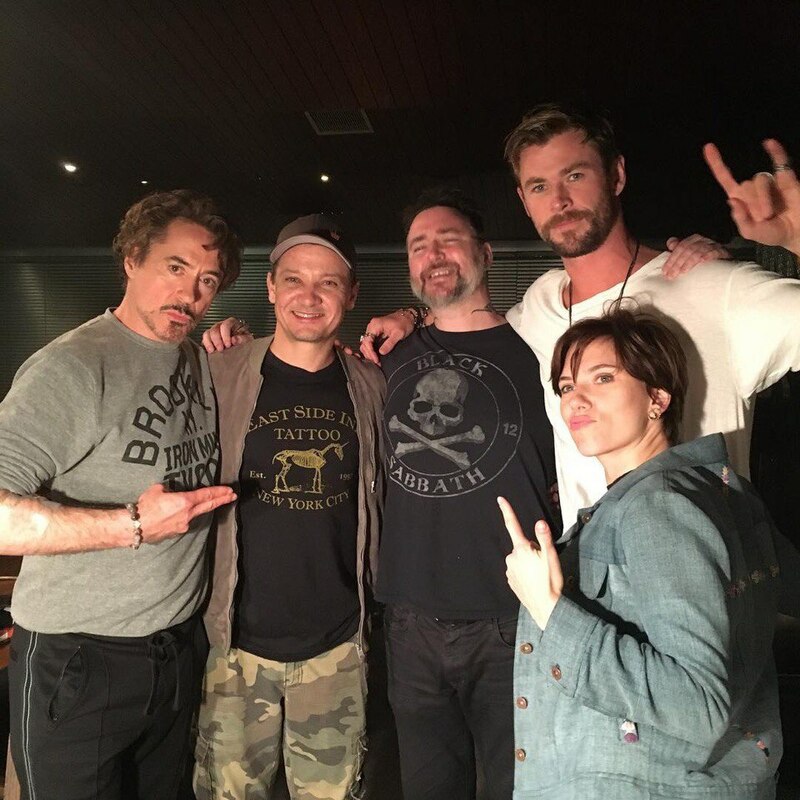 Well Scarlett now has one more tattoo to add to her ever growing tattoo collection, this time she got one with all her original Avenger’s co-stars Robert Downey Jr, Chris Hemsworth, Chris Evans and Jeremy Renner, they each got modified versions of the Avengers logo inked on their skin and each did there own version of it on to the tattoo artist. And for people wondering where Scarlett got hers, she got it on the under side of her arm. Posted on May 1, 2018 Written by AbbyComments Off on Where Were Ant-Man and the Wasp? Scarlett Johansson invited a grandma, who went viral because of how much she once looked like the Hollywood actor, to get drunk with her at an upcoming movie premiere, and, thanks to the power of the internet, it is happening. “I’m not going to be square. I’m going to drink with her [and] see if I can drink her under the table. She has got to remember to take it easy on me. I’m 40 years older than her,” Geraldine Dodd, 72, told TIME. Turns out, partying with a celebrity was a decision the great grandmother made quickly. “In a heartbeat, she said yes. Who says no to Scarlett?” her grandson, Denver Dodd said. But it didn’t take long for her to get the deal, and Johansson soon invited her to the bar for free drinks at the movie premiere for her upcoming comedy Rough Night. “I saw that you were, quote, ‘drunk as a skunk’ when taking that photo, and I would like to see your drunk face. I want to share a drunk face with you. Let’s have a drink, Geraldine,” she said in a video posted by Geraldine’s grandson. “It’s an awesome feeling knowing that someone who deserves a little spotlight, like my grandma, gets to experience something like this,” Denver said. Geraldine’s husband, pictured in the original photo taken around 1967, passed away last January. Geraldine loves being a great grandmother, Elvis and 50 Shades of Grey. Scarlett will be attending the Women in the World Summit in New York City on April 5th-7th, Other attendees for the event are Hillary Clinton, Chimamanda Ngozi Adichie & Cecile Richards. Presented by Tina Brown Live Media in association with The New York Times. Women who are on the front lines in over 20 countries come to tell their stories in this compelling three-day event. They are activists, CEOs, peacemakers, entrepreneurs, and firebrand dissidents. They’ve saved and enriched lives and shattered glass ceilings in every sector. Presenting vivid journalistic narratives, stirring videos, and provocative discussions, the Women in the World Summit is the premier showcase for women of impact and for the men who champion them. This year’s participants include: actress Scarlett Johansson; acclaimed Nigerian author Chimamanda Ngozi Adichie; writer, producer, director, actor Lena Dunham; the CEO and co-founder of SOHO China, the largest real estate developer in China, Zhang Xin; President of Planned Parenthood Federation of America, Cecile Richards; journalist and writer Zineb el Rhazoui; and Ukrainian Parliament member and former fighter pilot Nadiya Savchenko. Additional participants will be announced over the next several weeks. Johansson and Versace will be honored at this year’s gala on Feb. 8, which serves as an unofficial kick off to New York Fashion Week. New York Fashion Week will be kicking off this year with some Italian flair. The annual amfAR New York gala, to be held this year on Feb. 8 at Cipriani Wall Street, will honor Donatella Versace and Scarlett Johansson. Lena Dunham will serve as host, and Ellie Goulding will be this year’s performer. The gala, sponsored by Harry Winston, serves as the unofficial launch of New York Fashion Week, which properly gets under way on Feb. 9. Johansson and Versace have been selected for the honor due to their “longstanding support of amfAR,” according to the organization. As with all amfAR benefits, the star quotient will be full-force this February. In addition to Johansson, Versace, Dunham and Goulding, event chairs for this year’s gala include Woody Allen, Lady Gaga, Patrick Demarchelier, Iman, Carine Roitfeld, Kenneth Cole, Heidi Klum, and David and Lauren Bush Lauren. Alessandra Ambrosio is one of the evening’s co-chairs. Past honorees include Harvey Weinstein, last year’s honoree, as well as President Bill Clinton, Dame Elizabeth Taylor, Sir Elton John and David Furnish, Robin Williams, Diane von Furstenberg, Clive Davis, Richard Gere, Whoopi Goldberg, Tom Hanks, Janet Jackson and Donna Karan. Scarlett turns 32 years old on November 22nd so happy late birthday to our girl (and to her twin brother Hunter)! It’s been a really great year for her, professionally and personally with Hail, Caesar!, The Jungle Book, Captain America: Civil War and sing and with the opening of her own shop Yummy Pop in Paris. On behalf of all of the fans, we would like to send out congratulations to our favorite star! It is with a heavy heart I am to inform you guys that Scarlett-Fan.com is no more, and as most of you known our fansite host Fan-Sites.org is closing down after the site being on there for 10+ years and I can not keep the URL BUT all is not lost as the site will keep going under its new name and URL S-Johansson.org and for the gallery Scarlett-Photos.org. The other good news is that noting on the site was lost in the move to are new host flaunt.nu. You can still get to this site using the old URL but I would like to ask all the people to save this new link and for all are affiliates to update to this link as well. If you do see any thing that is not working right please let me known about it and here is to the next 10 years of Scarlett Fan. The Under the Skin actress, who is one of the stars of W’s February 2015 issue, talks about her crush on Patrick Swayze in Dirty Dancing, the allure of David Bowie androgyny, and why WALL-E, of all movies, is the most touching love story. I would like to wish Scarlett a very happy birthday from both me and all the fans on here. I hope she has a great day with Rose, Romain and Hunter. P.s The galley is a little bit of a mess right now I will be working on it over the coming week. Posted on January 1, 2010 Written by Rope1 Comment on Happy New Year 2010! Just a quick post to wish all our visitors a Happy New Year, and all the best for 2010! 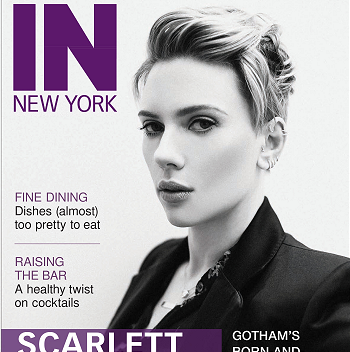 I hope the new year brings lots of great Scarlett news, projects and photos, and of course we will be covering all the latest on our girl, only here, in Scarlett-Fan!